Dave Mauer worked for Cassens Transport Company in Belvidere, Ill., for 40 years, loading cars built at the Chrysler plant onto freight trains. The work was tough and Mauer endured his share of injuries, including a bicep tear that required surgery. The promise of a pension made it all seem worthwhile. He retired in 2004. Then, in 2015, a letter arrived in his mailbox from Central States Pension Fund warning him that the pension fund might run out of cash by 2025 or possibly sooner. 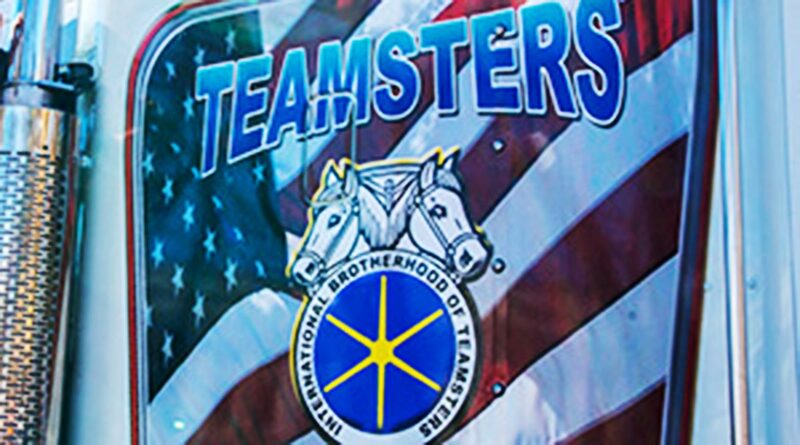 There are thousands of International Brotherhood of Teamsters retirees like Mauer throughout northern Illinois who are affected by the looming collapse of Central States. Perhaps 80% of the 1,300 members of Rockford’s Teamsters Local 325 are at risk, too. Mauer and other Central States pensioners in the Rockford area have formed the Illinois/Rock River Valley Committee to Protect Pensions. The group has scheduled an April 6 meeting at the Teamsters Local 325 union hall in Rockford to mobilize and pressure Congress to rescue failing multiemployer pension funds. U.S. Rep. Richard Neal, a Democrat from Massachusetts, has reintroduced a bill he first submitted to Congress in November 2017 that would do just that, and Rep. Cheri Bustos, D-Moline, is a co-sponsor. Central States is the fourth-largest multiemployer pension fund in the nation with 378,786 participants. Nearly 1,300 multiemployer pension funds are spread across the country, and about 300 are failing or on a path to failure. If that weren’t enough, Uncle Sam’s safety net for troubled pension plans — the Pension Benefit Guaranty Corporation — also is underwater. The federal agency said in November that it is running a $65.1 billion deficit for its multiemployer pension program, which it said is likely to be insolvent by 2025. Collectively, there are more than 5,800 Central States participants who live in congressional districts represented by Bustos and Adam Kinzinger, (R-Channahon), according to the pension fund. Central States pays more than $20.5 million a year in benefits to retirees who live in Bustos’ district and $25.4 million a year to those living in Kinzinger’s district. More than $2.8 billion worth of benefits are paid to Central States beneficiaries throughout the United States. “It’s called ‘the tsunami effect,’ ” said Bob Amsden, a retired Teamster from Local 200 in Milwaukee. Amsden and others affiliated with Local 200 have helped organize the grassroots Rockford group. The pension fund had $26.8 billion invested in financial markets at the beginning of 2008. By the end of 2008, it had lost $9.5 billion. Financial markets have since recovered. But even before the downturn, many multiemployer pension funds, including Central States, found themselves systematically underfunded as companies that once contributed to these pension funds left or simply went out of business. Government deregulation of industry and a decline in union representation have upended incentives that would otherwise keep employers from leaving multiemployer pension funds. Employees of trucking firms and factories — two industries that have shrunk considerably in recent decades — traditionally have made up the bulk of Central States members. Most truck drivers were union-represented in the late 1970s and 1980s, Amsden said, but that number is closer to 10% today largely due to deregulation of the industry. As companies contributing to multiemployer pension funds dropped out, those remaining could have increased their contributions to keep the plans solvent, though they had no incentive to stay and pay more. A Senate version of Neal’s bill, called the Butch Lewis Act, was sponsored by Sen. Sherrod Brown (D-Ohio) during the last Congress. The general concept behind the Butch Lewis Act and Neal’s proposal in the House is to create an office within the U.S. Treasury Department that would sell bonds to financial institutions to raise cash that the government would then loan to financially troubled multiemployer pension plans. The Congressional Budget Office initially estimated that the Butch Lewis Act would cost $100 billion over the next 10 years. Last September, after further study, CBO revised that figure to $34 billion. That’s a considerable drop from the original estimate. Regardless, wrangling the necessary votes in Congress for a multibillion-dollar bailout of failing pension funds is as daunting as one would expect, which explains why a rescue of these troubled pension funds remains elusive. Neal’s Rehabilitation of Multiemployer Pensions Act awaits the review of three separate House committees, including the powerful Ways and Means Committee. Bustos is among 162 House Democrats who have co-sponsored the bill. Fourteen Republicans are co-sponsors, though none from Illinois.